HomeRotary DistrictsWhat District Am I In? Sometimes trying to figure out what district you are in can be a problem. The first place to find the answer to this question is the district chairman. . . but. . if you don’t know the district you are in, how would you know who the district chairman is? Well, here’s some help. 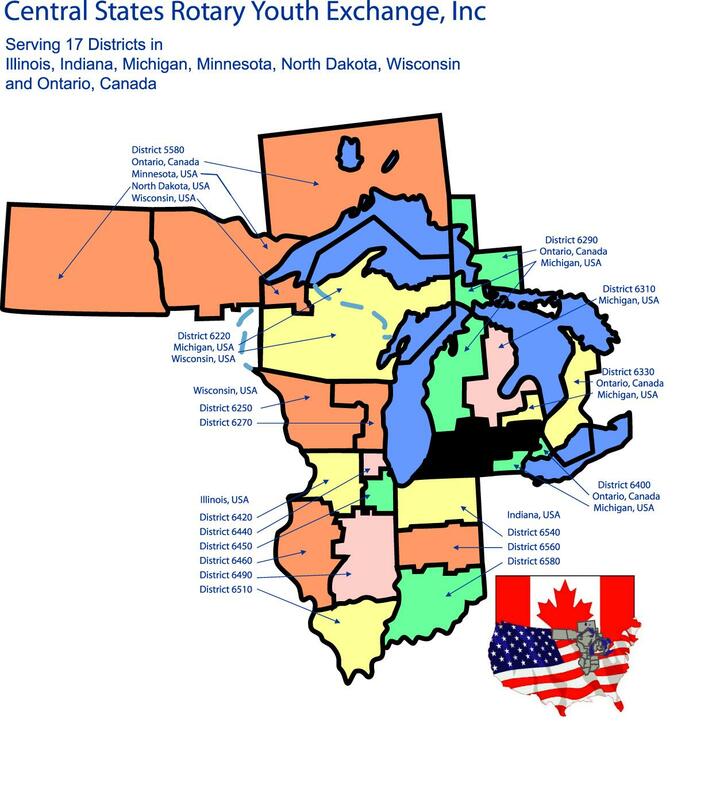 First, locate the potential district or districts that you might be in on this map. 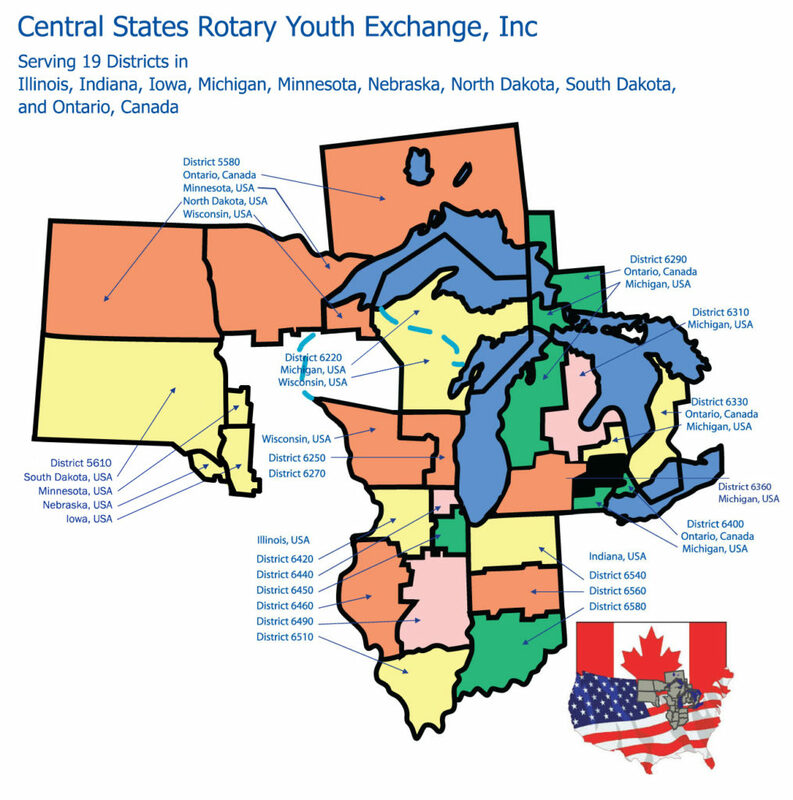 listing below to see the Rotary clubs in each district. If you live in a small village or unicorporated area you will most likely have to look for a nearby city. Once you have found a local Rotary club you have learned two things. 1. What district you are in. 2. The contact information for a local Rotary club.